The Neligh Mills, built from locally fired brick in 1873 by John D. Neligh, was the first business and industry in the then newly platted town. Later owners and operators of the mill included William C. Galloway, Stephen F. Gilman and J. W. Spirk. Milling operations began in 1874 with two runs of stone. Roller mills were added in 1878, and all new roller mills were installed in 1898. Flour from the Neligh Mills was widely sold throughout the Middle West. Better known brands produced here include Neligh Patent Flour, So-Lite Flour and Crescent brand feeds. 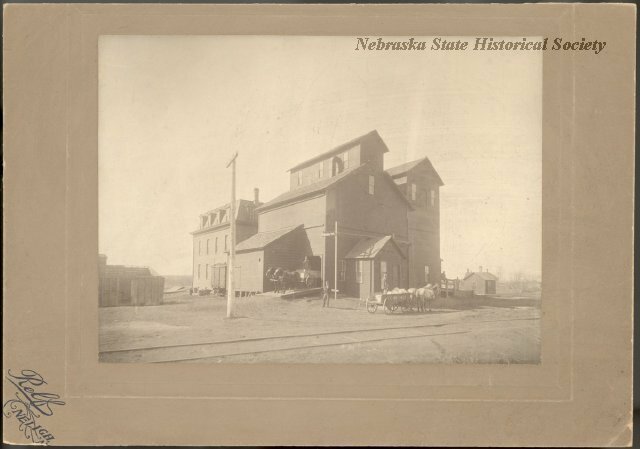 A good mill was a major factor in the growth of Nebraska communities during the 1870's and 1880's. Mills turned locally grown grain into flour, cutting down on expensive long distance shipping. Mills with an ample water supply and situated on main rail lines were able to produce quantities in excess of local needs, and sometimes received lucrative government contracts with the Army and Indian Bureau or for overseas export. In 1969 the Legislature authorized the Nebraska State Historical Society to acquire and preserve this mill as a symbol of our agricultural history. Its importance was also recognized in 1969 by entry on the National Register of Historic Places. 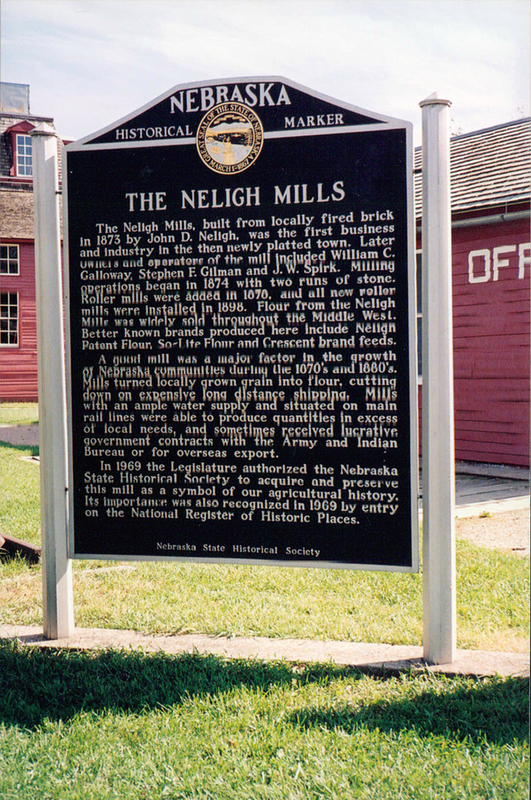 “The Neligh Mills,” Explore Nebraska History, accessed April 18, 2019, https://mynehistory.com/items/show/10.